A specter is haunting governments around the world—one emanating from the fiscal decisions of the U.S. Congress and White House. Yet, no one in Washington, D.C. seems to be talking about it. Well, almost no one. Earlier this month, researchers at the International Monetary Fund (IMF) released their initial findings on how the recent changes to the U.S. corporate tax system may affect the revenue base of other countries around the world. They found that the fallouts of the Republican-enacted Tax Cuts and Jobs Act (TCJA) could deplete—on average across all countries—over 13 percent of tax revenues previously received from multinationals. 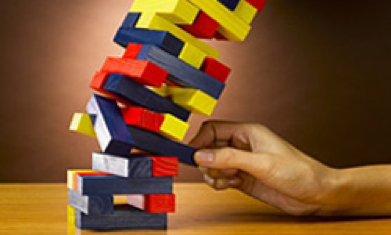 Policy-makers have been playing Jenga with the broken international corporate tax system for some time. The TCJA may just be the last block drawn. It’s time to build a new foundation to more effectively tax multinationals. Why is this important? Governments everywhere rely on companies to pay their fair share of taxes which is then invested in public goods and services essential to human rights like primary education, free elections, health coverage and access to justice. Yet, multinational companies in particular often skirt these responsibilities, manipulating taxes in ways which systematically deprive countries — especially poorer countries that rely more heavily on corporate income tax—from much needed revenue. According to recent estimates by economist Gabriel Zucman and colleagues, close to 40% of multinational profits, worth a whopping $600 billion globally, are artificially shifted to tax havens and other low-tax countries each year. The dirty little secret of globalization is that multinationals have learned how to book their profits (which they pay taxes on) almost anywhere, without needing much to move their actual operations (which they pay less tax on). While the study shows that developing countries and non-tax haven European Union countries are the prime losers, corporate tax dodging ends up hurting all governments by shrinking corporate income tax payments globally. Indeed, some six months in from the biggest “America First” tax cut in 30 years in the United States, corporate tax receipts are at their lowest point in 75 years and the only boost has been to the owners of America’s “shareholder first” economy. That is to say on net, globally, corporate tax dodging is a transfer from people of modest means who rely on tax-funded public services to the private hands of wealthy company executives and their stockholders. It’s no coincidence then that under the pretext of resource scarcity, governments around the world have turned to austerity measures over the past decade. While the specific choice of fiscal consolidation measures has differed across countries, the results have been common: deepening poverty, mounting inequality and accumulating discrimination. And a big reason for this Lost Decade for human rights has been the breakdown in governments’ ability to properly tax multinational corporations: perhaps most vividly illustrated by the TCJA. Now half a year since the passage of the TCJA, IMF researchers have put initial numbers to these losses in a new working paper. Conservatively, across all countries, the spillover effects of the U.S. corporate tax changes could drain an average of 5 to 13.5 percent of the tax revenue they previously received from multinationals. What’s more, the harm is not evenly distributed across countries. Mexico, for example, with high trade exposure to the United States, could lose over 30 percent of its already-dwindling multinational tax revenue because of the TCJA. The IMF researchers quantify the likely spillover impacts of the tax rate cut on the profit shifting and location decisions of multinationals, as well as on the foreseeable decisions by other governments to cut corporate tax rates. They take pains to clarify that their models are tentative as they were unable to capture the TCJA’s full impacts. Since a lack of reliable micro-data on multinationals artificially deflates estimates, spillover effects are likely to be higher in practice. Yet, while the precise quantity of fiscal risks posed by the U.S. corporate tax cuts are presently unknowable, their direction is clear: the TCJA further impedes governments around the world from raising sufficient revenue to invest in human rights. As the United States was a premiere “on-shore” tax haven even before this new legislation, the TCJA was a continuation of a trend which effectively restricts the fiscal space of countries—especially low and middle-income economies more reliant on corporate taxes—to choose their form of a social contract. To offset the decreased revenue, many governments around the world may well increase regressive consumption taxes while further depleting funds for public services and poverty reduction measures. In this way, the TCJA’s spillover effects could very well be borne by the poorest people in the world. A few lessons come to mind in the light of this new research. First, we know the TCJA is having adverse impacts overseas, but there is a lot of uncertainty as to how bad these spillovers are, and precisely who will be most affected. How can we fix this? Corporate transparency is still in the Dark Ages in the United States. A full embrace of transparency from US and European policy-makers, through common-sense public registries of beneficial ownership, country-by-country reporting data and other corporate transparency standards, would empower researchers, journalists, other tax administrations and the general public to study the full depth of the spillovers. What are policy-makers afraid of finding in this data? Second, amongst all this uncertainty, how about an inter-disciplinary initiative to study the full impacts of the TCJA overseas? The Netherlands and Ireland carried out such a ‘spillover’ study—to varying degrees of effectiveness. Building on the IMF’s initial research, we should learn the lessons from the spillover assessments done to date, and move immediately to carry out an independent and comprehensive appraisal of the TCJA to understand more precisely who is bearing the brunt of these changes. Third, tax policymakers outside the United States should be cautious about falling into the trap of cutting effective tax rates and in other ways swapping tax privileges for faulty promises of investment. According to the IMF research, over half of the estimated revenue losses from the TCJA around the world stem from governments presumably decreasing their rates and loosening their own rules in reaction to the U.S. move. But there is a lot of political uncertainty regarding the future of the American legislation, with potentially big changes occurring as soon as the next Congress. As we know, taxes are much easier to tear down than to build up. Any knee-jerk base- or rate-lowering could be much more difficult to undo later, with lasting impacts on public revenue, public services and thus human rights. Finally, perhaps there is a silver lining to this corporate tax race off the cliff that has been turbo-charged by the Trump administration. As the revenue risks grow both in the United States and abroad, so too will the already-expanding awareness of the need to fundamentally rethink how national governments tax multinational companies. As tumultuous as the international corporate tax system is at present, a new, more collaborative and more human rights-aligned vision and set of alternatives is emerging from the International Commission on the Reform of International Corporate Taxation and others to halt global companies from free-loading and compel them to pay their fair share.